What is CB Passive Income 4.0 About? CB Passive Income 4.0 is garnering a lot of attention and has many people wondering if it is a scam or actually legit. Reading CB Passive Income 4.0 reviews often isn’t too helpful, as there are some biased opinions out there hoping to sway new members to join. This unbiased CB Passive Income 4.0 review will take a detailed look at what CB Passive Income 4.0 is and how you can—or can’t—make money off it. So, what is CB Passive Income 4.0? This is an email marketing course that aims to make selling to people easier. Typically, an email marketing campaign uses a lead capture system like an opt-in page or a giveaway to get people to subscribe. That generally triggers promotional emails to that person. However, people hate being sold to and Patric Chan’s CB Passive Income 4.0 aims to skirt around that park of the campaign. So, instead of worrying about sending out promotional emails you only need to send people to certain “squeeze” pages that offer free giveaways. When someone purchases a product from those promotional emails, you’ll earn a commission. Sounds easy right? Well, there is still a lot of work involved with the email marketing training program. So, is CB Passive Income 4.0 a scam? No, it’s not a scam. However, that doesn’t mean it’s a viable option for making money online. CB Passive Income 4.0 is meant to simplify email marketing, but it is still a difficult sales funnel to conversion especially for beginners. You are essentially paying for some watered down training on paid advertising sources that are focused on pushing traffic to pre-made websites. The issue with this is that you will be competing with all of the other CB Passive Income 4.0 members for the same ad space and keywords. This drives up your costs and makes it difficult to succeed. 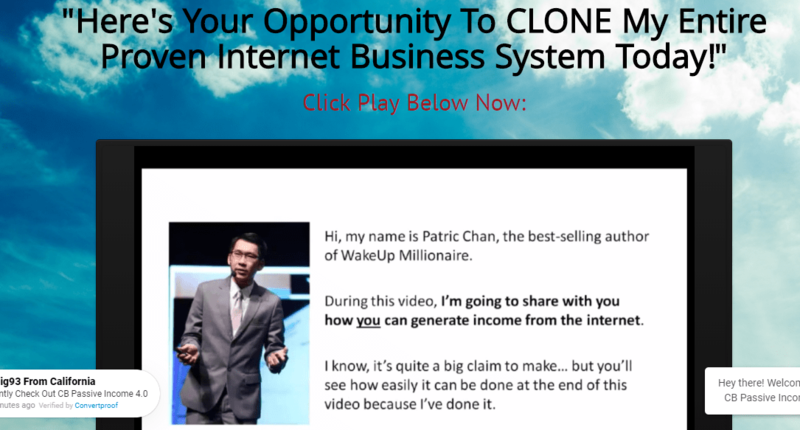 Another problem is that the promotional emails will be coming from Patric Chan and not you. People are reluctant to buy things from someone they don’t know, which makes it difficult to actually convert sales and earn your commission. While CB Passive Income 4.0 is not a scam, it is a business opportunity that is difficult to earn money through. 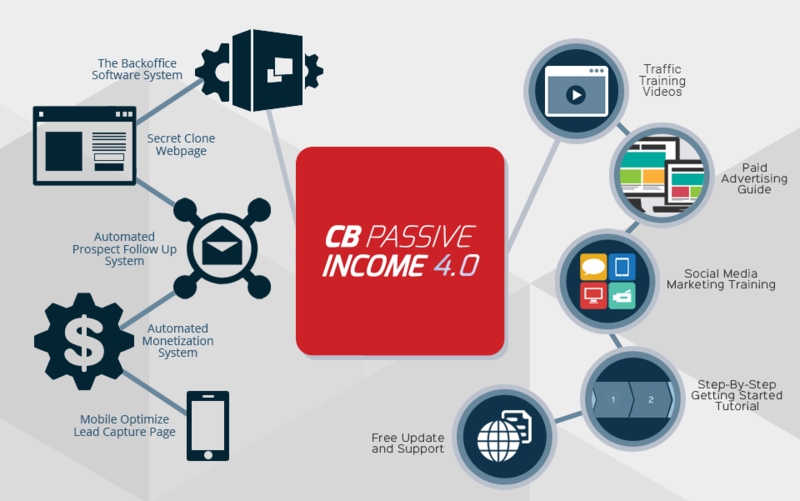 Joining CB Passive Income 4.0 will cost $47 a month. That price is hefty, so Patric Chan offers a quick, one-time payment of $97 to give you a lifetime access. Obviously, the monthly cost is raised to make potential members jump at the opportunity to get the lifetime access for just $97. In reality, Patric knows the program just doesn’t offer enough value for someone to pay for a second month after they’ve already tried it out for 30 days, and this is a way to take another $50 from members. $97 might not seem like much, but that also does not account for the cost of the paid advertising required to generate enough traffic to earn commissions. There is limited focus on free traffic sources, so expect to be paying a premium because you will be competing for ad space with all the other CB Passive Income 4.0 members, which drives the price up. This means there are only around 371 people are searching for this product per month. This is very low for product to be popular which tells me it’s not a product I would want to count on to build online business. This product is geared towards beginners to email and affiliate marketing. Right in the promotional video for CB Passive Income 4.0, Patric states that the program is for someone who wants to make their first $100. This is not a program that offers advance training or really anything of value to anyone that is already involved in affiliate and email marketing. I wish I could say otherwise but if you are looking for top quality training on how to start online business there is a better alternative that I recommend. In fact, there is little training at all aside from learning how to generate paid traffic to the squeeze pages. When it comes to whom I would recommend CB Passive Income 4.0, I wouldn’t’ recommend it to anyone. While it is not a scam and there is some useful information, there are too many complaints about the system and the competition is too high. It looks like there is a decent amount of training provided in the CB Passive Income 4.0 member’s area, but in reality, there isn’t enough. The training that is offered is very basic and often doesn’t feel relevant to CB Passive Income 4.0. In addition, most of the information focuses on paid traffic methods. For beginners, you should also learn about free traffic methods or you will constantly be shelling out for costly paid advertising campaigns. This just drives up your cost and prevents you from making money. For training, you will learn about SOLO ads, guest blogging, virtual reports, stumble upon, twitter, commenting on blogs, Bing advertising, and other paid sources. This information is great, but it isn’t enough for a beginner who has no prior experience or list. Now that I’ve covered the basics of CB Passive Income 4.0, it’s time for the final verdict. 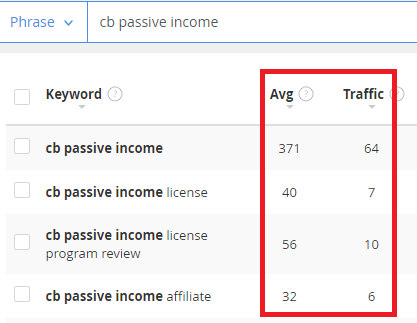 While I’ve come to the conclusion that CB Passive Income 4.0 is not a scam, it doesn’t appear to be a great opportunity for affiliate and email marketers. Beginners will struggle to turn a profit and experts will find nothing of value in the training.